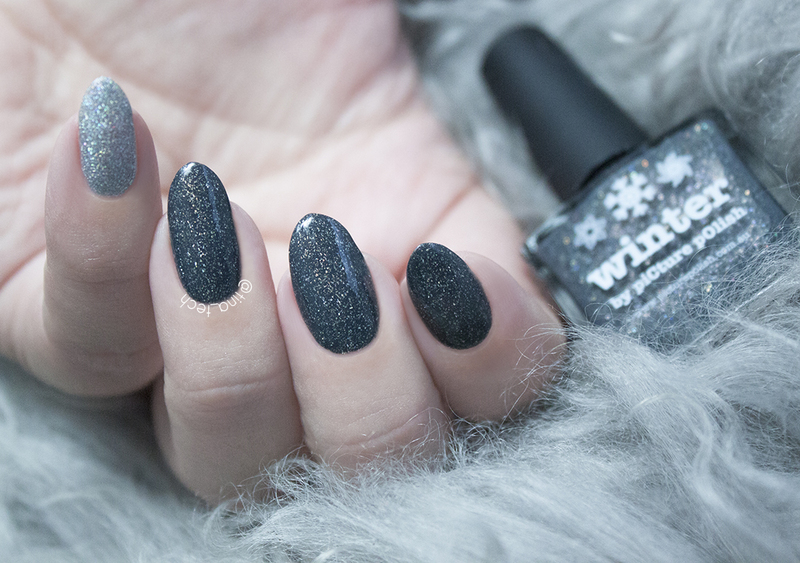 It’s been a long time since I bought any nail polishes (I know it’s a shame, but I have so many untrieds to get through I couldn’t justify buying new ones :P), but there were two polishes I couldn’t resist and one of them was piCture pOlish – Winter (the other one will be on the blog soon). After seeing sooo many swatches of it on Instagram, and people praising it so much, I knew I had to have it. I was surprised when I first got it, because it was a little more gray than I had thought it was from seeing it in pictures. 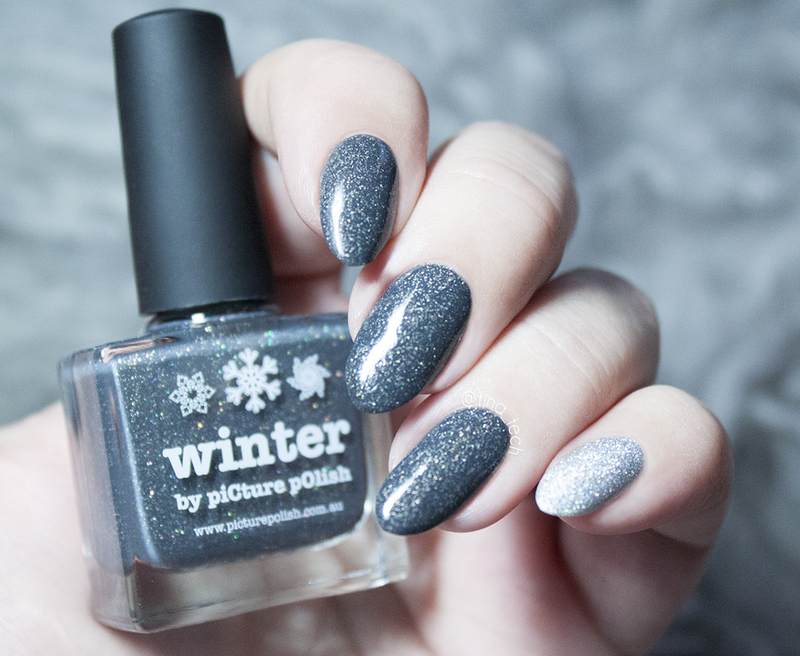 Winter is a “dirty” dark gray crelly with a scatter holo finish. The flakes really remind me of what you see in the snow during winter, so many beautiful colors shining through the surface. 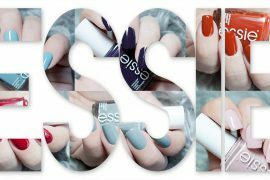 I bought mine from color4nails.com. 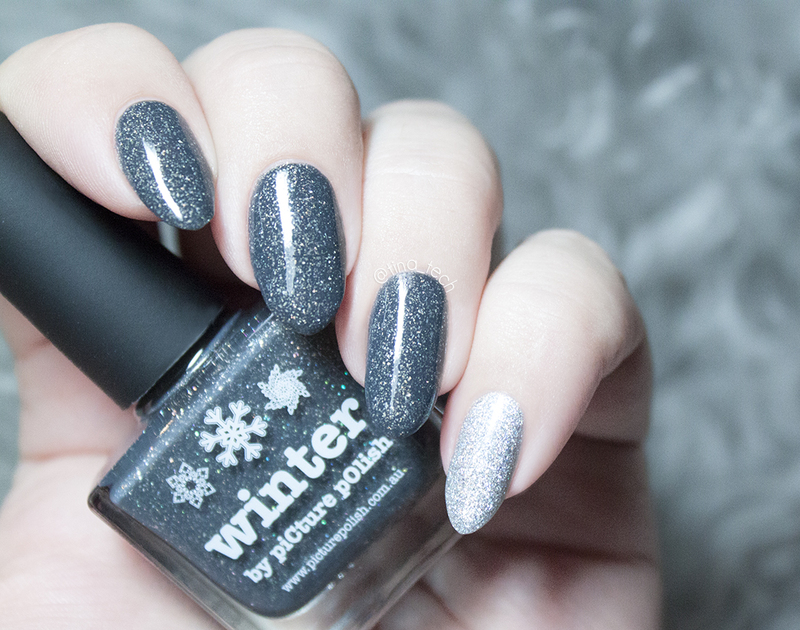 I bought it with one other polish and the shipping was $6 (not bad for international shipping). 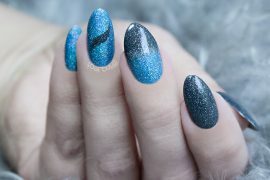 This polish goes on my “Must have” list, it’s unique and reaaally pretty on the nails. 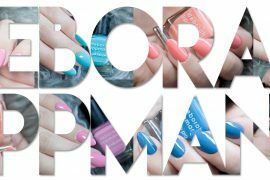 The formula was brilliant like always, it applied smoothly with two thin coats and it lasted about a week on the nails. Have you tried it? Soo pretty!